There’s so much to talk about in this week’s wrap and so little time to write! Only 17 days until Christmas, but who’s counting? Where has this year gone? Firstly, let’s look at what happened over the weekend in the Melbourne property market. 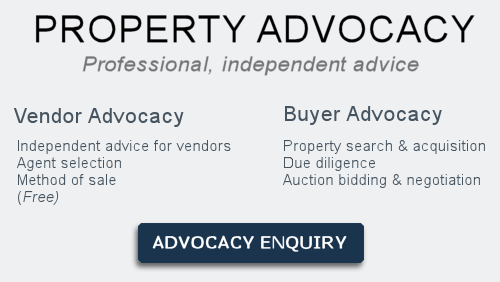 There were 1347 auctions reported to the REIV. Of those, 926 sold and 421 passed in, 192 on a vendor bid. A clearance rate of 69 per cent was recorded compared to 65 per cent last weekend and 64 per cent this weekend last year. This year’s spring auction market has been the strongest ever, and there have been two record auction weekends in the past five weeks. The number of auctions in the year to date is also currently the highest on record. There have been over 37,000 auctions. This is the third week where auction clearance rates have been below 70 per cent. Although this might seem worrying, the number of properties that are clearing has stabilised. This past weekend actually showed an upward swing in what has been a flood of properties coming onto the market. So the property market is definitely showing considerable resilience and depth as demand appears to be keeping up with the supply of homes entering the market. Maybe everyone involved is eager to transact by the end of Christmas. 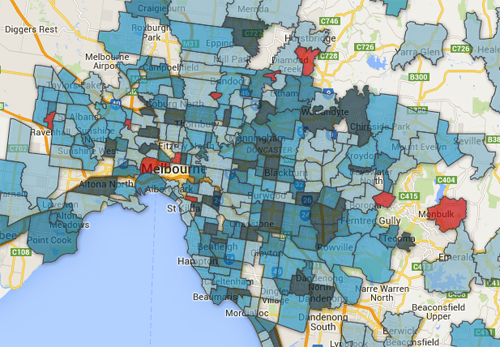 Most of the strength in property prices has been in Melbourne’s middle suburbs, as the map below highlights. Those suburbs in a darker tone performed well during the September quarter. I thought the following map was also interesting because it shows why so many Chinese immigrants have been targeting Melbourne’s east. It’s no coincidence that many nationalities congregate around friends and family, religious institutions and schools. For those looking to invest in property, it’s also worth pointing out the strengthening demand for houses rather than apartments. Due to the recent boom, many investors have been cashing in on inner city homes, leading to displaced families and tenants who have no desire to live in an apartment. Stories are beginning to emerge: tenants are being gazumped, while others have had to get on the property manager’s “nice side” to secure a residence. Don’t be surprised if we begin to hear stories of people start bidding to secure a house rental. After purchasing a investment property for a client we had 12 inspections at his first open house and no less than five applications, which is a stark contrast to other investment-type properties at the moment floundering on the market for weeks and months. This week the Reserve Bank of Australia met for the last time this year to deliberate on the fate of interest rates. It was no surprise that the cash rate was left on hold at 2.5 per cent for the 16th consecutive month. However, what has been surprising is the commentary expressed by a number of eminent economists. They have been discussing the falling Australian dollar on the back of plummeting commodity prices, including coal, iron and oil. Although our interest rates are low, unemployment is relatively good and our economic growth is looking okay. Our real disposable income has shrunk to the point where the contraction over the past two quarters is now officially an “income recession”. What does this all mean? We just don’t feel as well off as we should in a country that is supposed to have everything going for it. This is causing economic experts around the world to call for some significant economic stimulus. One such call came from Westpac’s Bill Evans, which caught my attention. He is urging the Reserve Bank to consider two 0.25 per cent interest rate cuts early next year. But hang on before you start cheering, cutting rates means we aren’t doing so well and the economy needs some extra oomph! Should these cuts eventuate, we can expect the property market to continue its current momentum next year as well. I don’t see much change over the next two weeks. Most stock should be mopped up by the end of the year. February and March are shaping up to be bumper months in terms of property supply. Real estate agents are laughing all the way to the bank. I’ll cut to the chase here because I have dragged it on a bit this week. We managed to secure another substantial transaction close to $5 million. Following some specific instructions from my client, I successfully managed to source, secure and negotiate a substantial property in the heart of a thriving shopping village in the east of Melbourne. Trust, knowledge, credibility and transparency were the key qualities that enabled this transaction.